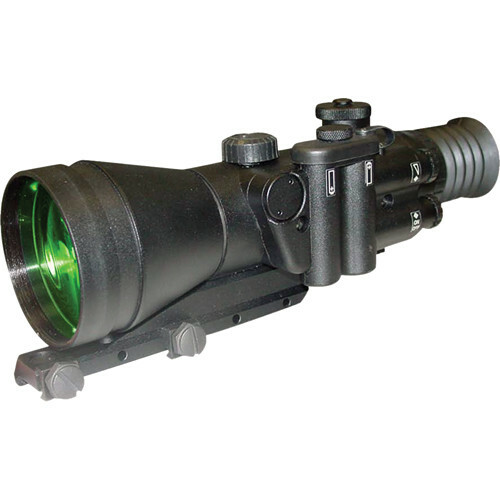 The DN 483 Night Vision Riflescope from Newcon is a modern multi-purpose night vision sighting system that's rugged, easy to use, service, and maintain. 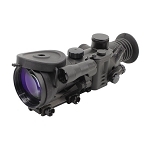 Its 3.7x magnification offers flexibility when sighting-in on close or long-range targets. This DN 483 is fitted with a high-quality 3rd generation intensifer, and a system-protecting automatic brightness control system. 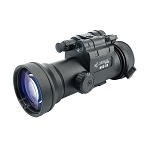 The scope's housing is manufactured from a lightweight yet durable polymer composite. Third generation intensifiers last longer and deliver brighter images with greater detail and less distortion than previous generations of night vision technology.